We have attended their dedicated solar panel cleaning training course, and as a result we know exactly how to safely clean your solar panels professionally, to the highest standard and in line with the warranty provided by your solar panel manufacturer. 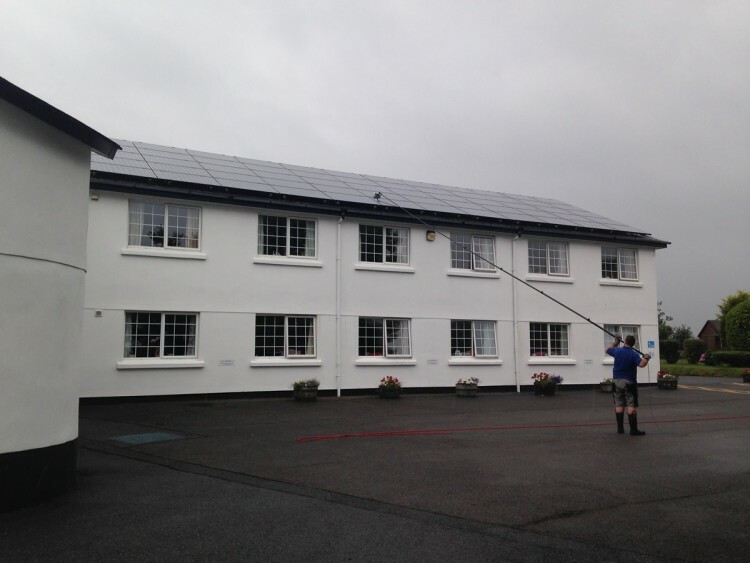 We are trained, experienced and fully insured for commercial solar panel cleaning projects of all sizes. Our team of cleaning professionals utilises high-tech ‘Reach & Wash’ systems to minimise the use of ladders and access equipment, for a safer and quicker cleaning process. Because this is the same technology used for window cleaning, you can expect the same spotless & sparkling results on your solar panels! Call our friendly team today on 07855 462204 or 01326 565334 to find out more and to book a site survey & quotation.